"You get what you pay for" isn't always true. A lot of the time, we approach shopping with the mentality that more expensive products equals better products. Don’t get me wrong—there are definitely some items worth splurging on, but the most expensive option is rarely the best. Want proof? Here are 25 product categories where a less expensive model out-performs a high-end product. Just think of all the money you could save! Robotic vacuums are cool to begin with, and when you add smart technology, these hands-off cleaning gadgets are even more efficient. However, there are definitely some models out there that are way too expensive—we’re talking $1,000 or more. Instead, we’d recommend the Eufy BoostIQ RoboVac 30C, which comes with an easy-to-use app where you can set cleaning schedules, start the vacuum and more. Plus, this budget-friendly smart vacuum picked up quite a bit of dirt in our testing, rivaling the performance of vacuums more than double its price. 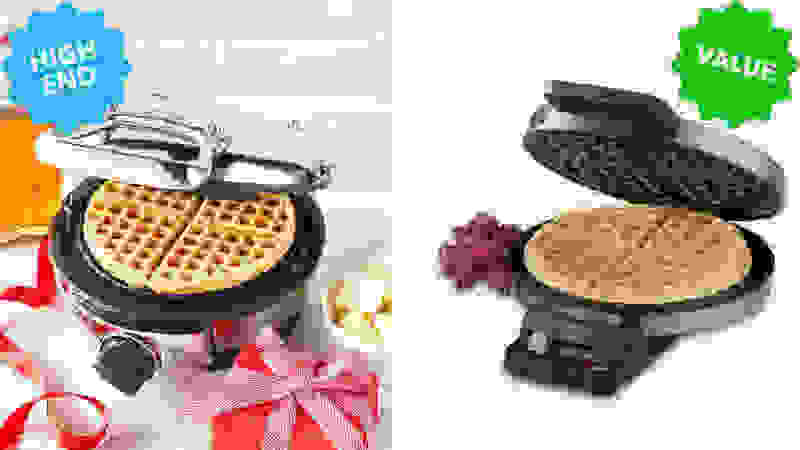 Look, I love waffles and small kitchen appliances as much as the next person, but there’s really no reason for you to be spending $100+ on a waffle maker, especially if you only use it once in a while. 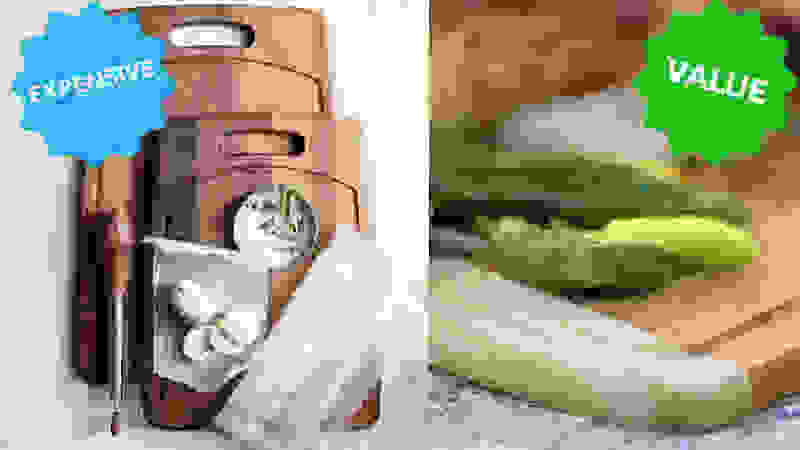 Budget models like the Cuisinart Round Classic Waffle Maker, which took home the title of Best Value Pick during our testing, are friendly on your wallet and perform just as well as many high-end counterparts. It even has a five-setting browning control that allows you to choose how well-done your waffle is—all that for less than $30! If there's one thing we as a society waste far too much water on, it's, well, bottled water. Even cheap bottled water is far more expensive than simply drinking from the tap, so do your wallet and the environment a favor and invest in a reusable water bottle instead. 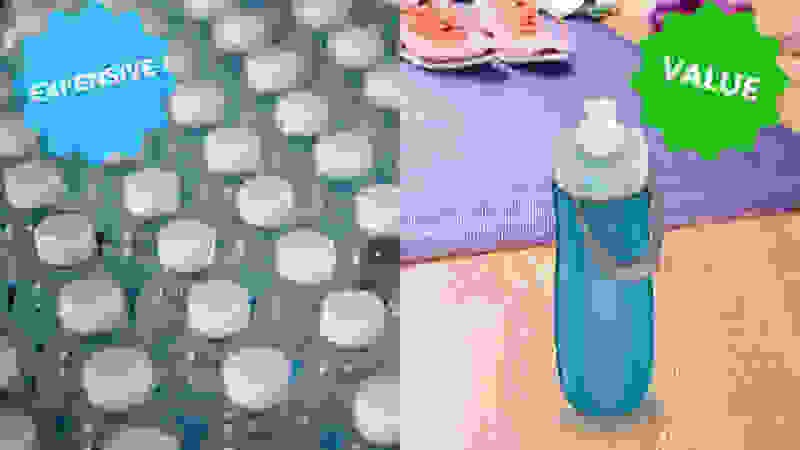 If you’re worried about the cleanliness of your tap water, products like the Brita Sport Water Bottle come with a built-in filter that removes impurities. This particular model scored top marks in our water bottle testing, and it will save you a whole lot of money in the long run. Down comforters get hyped up as the gold standard of bedding, but they have some noteworthy flaws. There’s always the chance of being poked by a rogue feather, many people are allergic to the material, and they're typically dry clean only. Not to mention they’re extremely expensive. Today, there’s really no need to splurge on a true down blanket when there are so many great down alternatives out there. One of the best comforters we've tested is the Linenspa All-Season Down Alternative Comforter, which looks and performs just like a high-end down option—but at a fraction of the price. Most of us rely on our smartphones to stay connected, but do we really need the latest and greatest version? 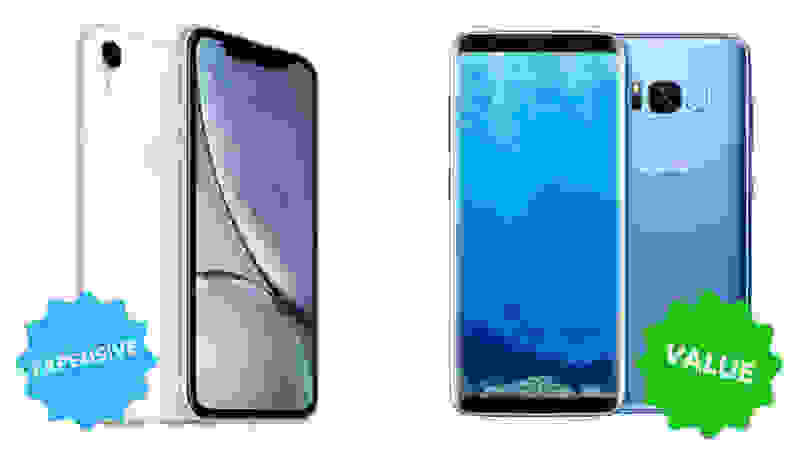 Apple typically releases multiple iPhones each year, and too often, people buy into the hype, shelling out thousands for a phone that isn’t all that much better than previous editions. If you’re looking for a way to save money, we’d actually recommend the Samsung Galaxy S8 as one of the best smartphones—it has an amazing camera, a sleek design, and top-notch performance. Plus, it’s half the price of the iPhone XR. If you take anything away from this article, it should be that just because something has a high price tag doesn’t mean it’s necessarily superior. A lot of it is just branding. For instance, one of our top-performing cutting boards is the Totally Bamboo Kauai Cutting Board, which costs approximately one quarter as much as name-brand options from specialty cooking stores. It’s balanced, yet lightweight, and it's made from bamboo, which is a sustainable resource since it grows significantly faster than trees. With an option like this for just $20, there’s no need to ever spend $100-plus on a cutting board. 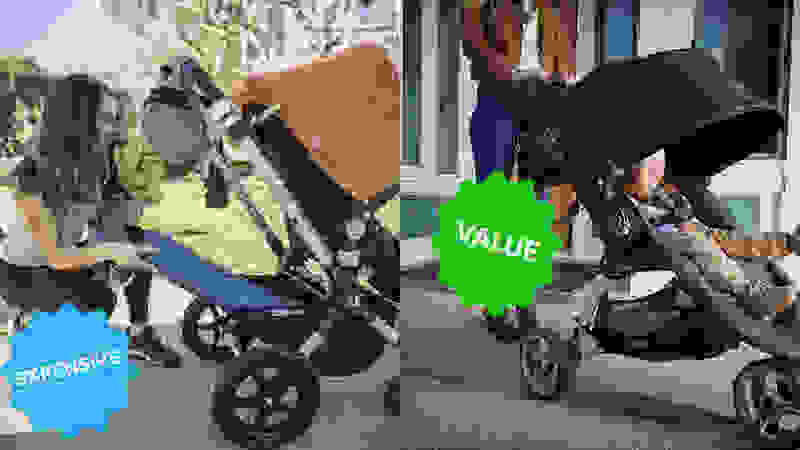 Most parents spare no expense when it comes to their children, but there are some amazing mid-price strollers that roll all over high-end "luxury" brands. While they’re not the cheapest options out there, products like the Baby Jogger City Mini will still save you hundreds compared to some trendy $1,000-plus models. This stroller from Baby Jogger got top marks when we tested the best strollers thanks to its light weight and easy-fold mechanism. It’s easy to drive, and the three-wheel design makes it a breeze to mount curbs. So skip the designer brand stroller, save some cash and buy something else for your little ones instead. 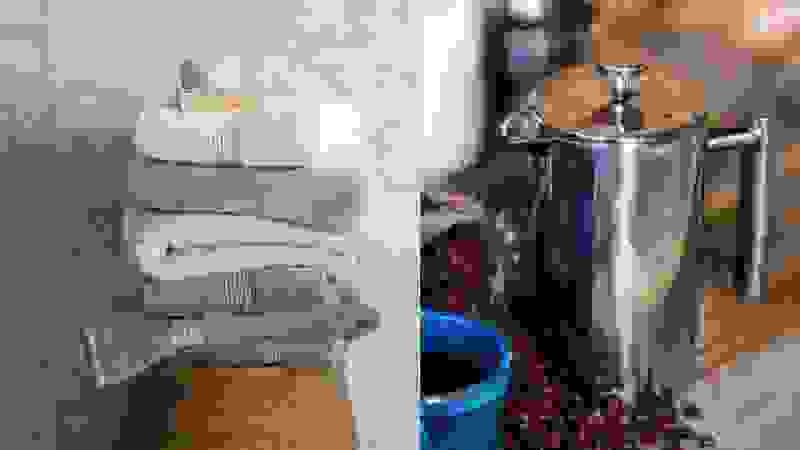 Unless you’re running an ice cream business, you really don’t need a compressor-powered ice cream maker for home use. The compressors used to cool down the bowl require a powerful motor, so even low-end models cost over $200. 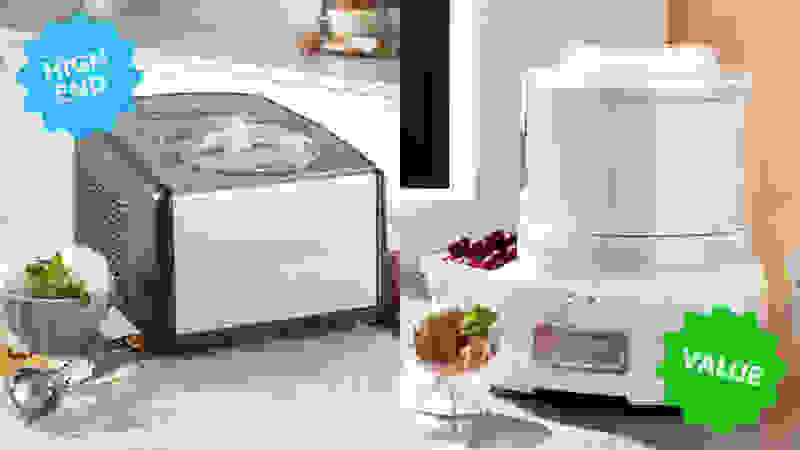 Instead, just get a simple model like the Cuisinart ICE-21. All you have to do is keep the bowl in your freezer, and it will churn out delicious, creamy desserts for you whenever the mood strikes—no buckets of ice needed. It’s straightforward to use, and we were totally impressed with its performance during our Best Ice Cream Maker testing. There are several varieties of cotton, some of which are more “luxurious” than others, but chances are you probably won’t be able to discern much of a difference in your bath towels. In fact, some high-end towels are actually a bit too thick, which means they take forever to dry and can develop a mildewy smell. In our testing of the best bath towels, the budget-friendly Fieldcrest Spa Solid Bath Towels from Target were just as welcoming and soaked up just as much water as high-end “designer” towels. They have a chic, classic design that can match any bathroom, and they won’t break the bank if you buy a whole set. 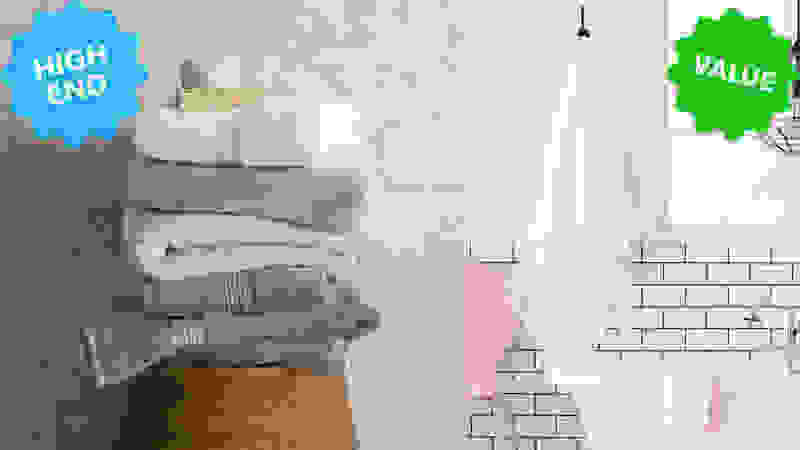 Indoor security cameras are one of the more popular connected devices, as they allow you to see what’s going on inside your home, no matter where you are. Whether you want to be able to monitor your pet while you’re at work or just feel more protected during your next vacation, a smart security camera is the perfect solution. 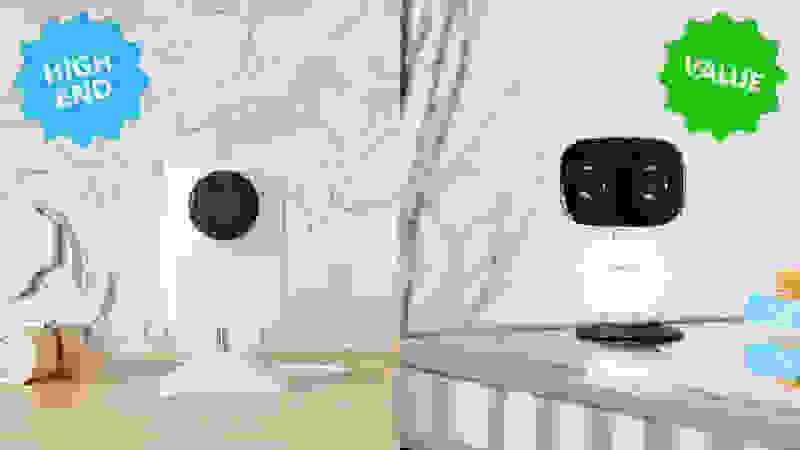 However, some smart security cameras are quite expensive, and while they might perform well, you can get everything you need from a budget pick like the YI Dome Camera. This little device delivers video in 720p high-definition straight to your phone, and you can even tilt, pan and zoom it remotely, checking out every square in of your house. It’s the ultimate peace of mind, for an affordable price. Once upon a time, the Apple TV might have been the best streaming device out there, but today, there are more affordable options that deliver big in terms of performance. 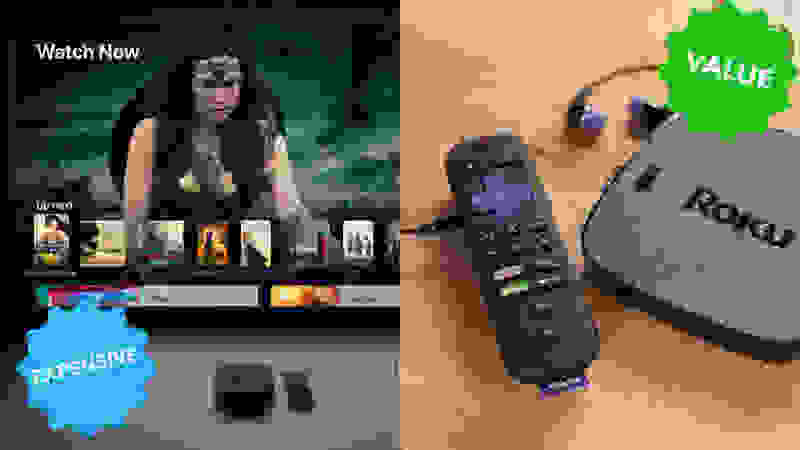 One of the best options is the Roku Ultra, which is easy to use and offers all the popular streaming sites you’re looking for. It supports both 4K and HDR content, and you can use voice control with the remote. Plus, one of the best features, in my opinion, is the button on the console that pings the remote—invaluable for when you lose it in the couch cushions. Thank the celery juice trend for giving juicers a popularity boost lately, but don't think you need to buy a super expensive model to get all the benefits of fresh-squeezed produce. 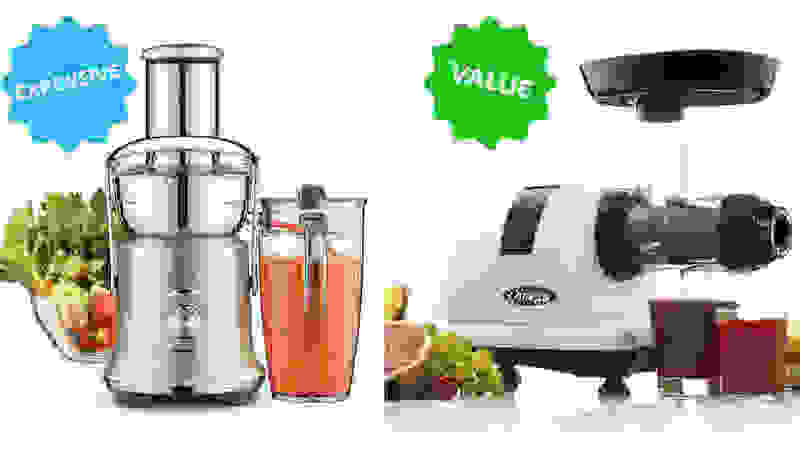 High-end juicers can cost $500 or more, but we’ve found the best juicer for most people is this mid-priced one from Omega. It’s a horizontal auger masticating juicer, which means it works slowly, producing a high volume of juice that tastes delicious. And while it’s not a budget buy, it’s certainly a lot more affordable than some other top models. Kitchen knives are one of those items you can spend any amount of money on—you can go somewhere like HomeGoods and pick up a chef’s knife for $10, or you could go to a gourmet cooking store and drop $2,000. However, as with many things in life, there’s a sweet spot between cheap and costs-more-than-your-rent knives. In particular, we’re partial to the Zwilling J.A. 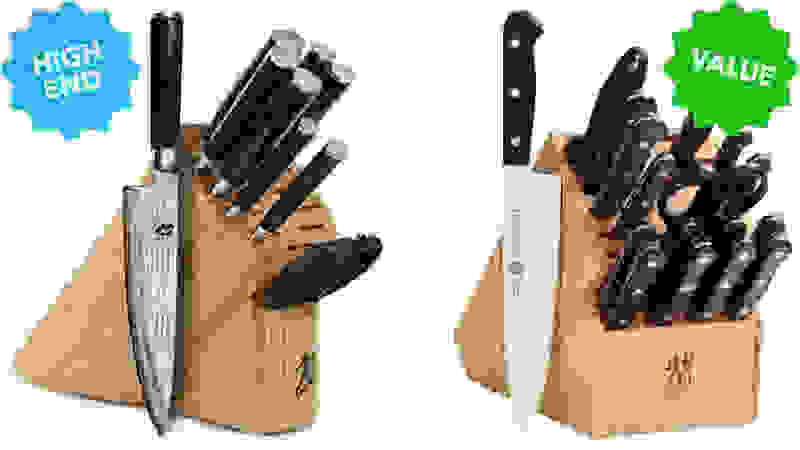 Henckels Twin Gourmet Classic 18-Piece Knife Block Set, which we crowned as the best knife set. It comes with a solid array of knives that are all lightweight, easy to use, and, of course, sharp. While somewhat expensive, it’s definitely a much better value than other knife sets that cost twice as much and give you fewer items. This isn’t something I can relate to on a personal level, but apparently beard trimmers can get quite pricey. You shouldn't have to pay an arm and a leg to keep your facial hair tidy, which is why we love the top-performing Wahl Lithium Ion+ Grooming Kit. It has an amazing battery life and a professional look and feel—plus, it performed better in our testing of the best beard trimmers than several others that were more than double the price. So there you have it, gents: A way to save money and look your best! Who doesn’t want a cloud of lovely, relaxing smells wafting through their home? Essential oil diffusers are great to this end, and there are several highly rated options that cost less than $20. 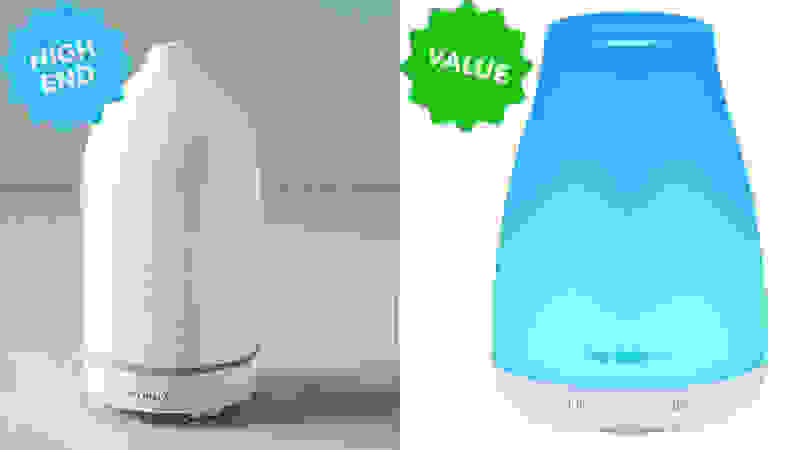 In particular, the InnoGear Aromatherapy Essential Oil Diffuser has more than 15,000 reviews and a high average rating—so why wouldn’t you opt for this model instead of one that costs $100-plus? They do the same thing! French presses are fairly straightforward contraptions. You’ve got the carafe, lid, plunger and filter—and that’s about it. There aren’t any digital components or intricate mechanisms, yet there’s still a significant price difference between certain models. 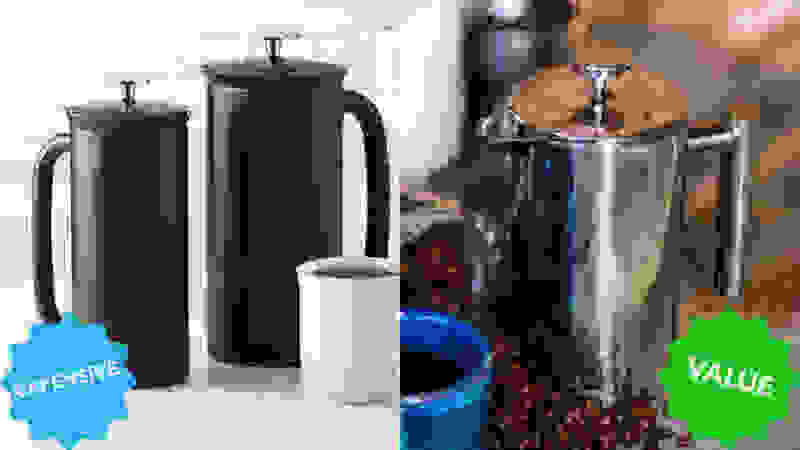 We’ve found the SterlingPro SS Double Wall French Press to be one of the best French press coffee makers out there—it matches the performance of many more expensive products, proving that you don’t need to splurge for great coffee. The liquid stays hot in the carafe, the double filters ensure no ground sneak through, and the end result is a delicious cup of the life-giving liquid you need to start your day. If you have a phone, you’re gonna need a charger, and Apple-branded power cords are quite up there in price. Instead of dropping $30 on a new charging cable—let’s face it, we all break them from time to time—just opt for the much more affordable version from AmazonBasics. It’s 6 feet long, so you can reach any outlet, and the cord is wrapped in nylon fabric that makes it stronger and more durable. It’s one of the best lightning cables out there, if we do say so ourselves. When most people think of a smart thermostat, Nest is often the first brand that comes to mind since it’s one of the pioneers in the space. And while the Nest Learning Thermostat is a great product, it is fairly expensive and as such, might not be accessible to everyone. 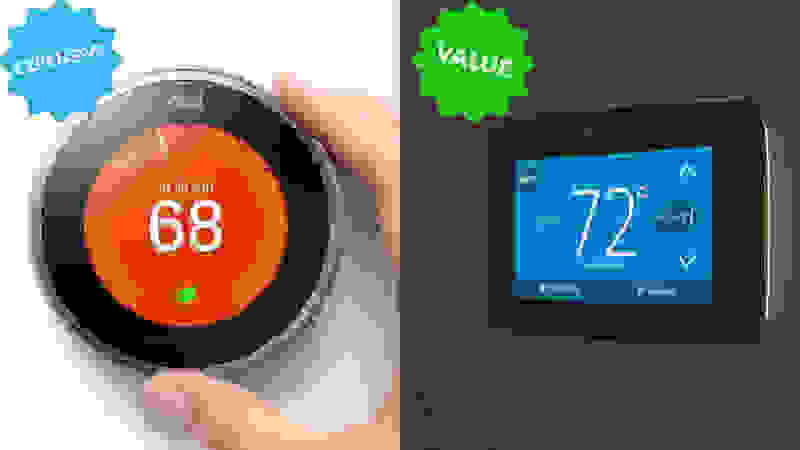 If you’re looking for a more affordable option that will still perform well, one of our favorite smart thermostats is the Emerson Sensi Touch. Installing this thermostat is straightforward, and it’s compatible with Amazon Alexa, Google Home and Apple HomeKit. And, of course, you can adjust it and create schedules right from your phone. Weighted blankets are all the rage lately, as they provide a much-needed dose of comfort after a long, stressful day. Because they’re so popular, there are tons of brands to choose from, including both high-end and budget options. 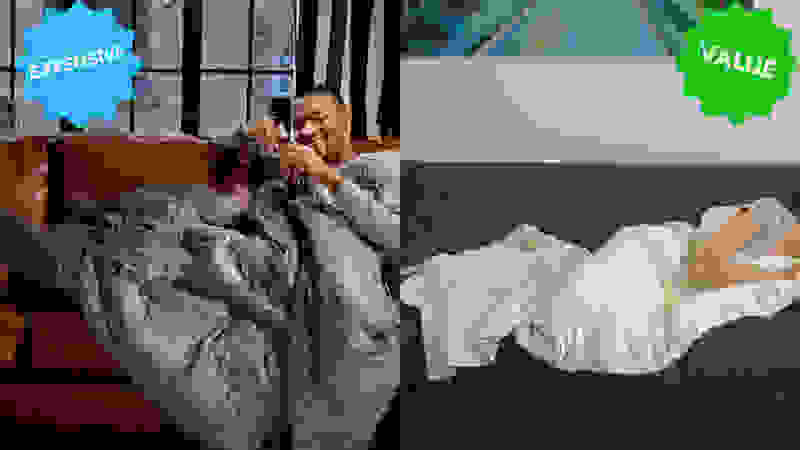 While there may be some manufacturing differences between products on different ends of the price spectrum, most weighted blankets are made similarly. Just like more expensive products, the Tranquility 12 lb. Weighted Blanket has a soft exterior and is filled with polyester batting and glass beads. In our experience, it’s a great budget pick and will leave you feeling just as cozy as pricey weighted blankets. If you're leaving your cat behind while you take a weekend trip, you want to have peace of mind that she won't go hungry. Automatic pet feeders are the answer, but they're not all created equal. While you might think more expensive options would be more reliable, that’s not necessarily the case. When we put automatic pet feeders to the test, we were most impressed by the WOpet Automatic Pet Feeder, which is straightforward, easy to use, and costs less than $20. In comparison, several more expensive models were too complicated or unreliable. It’s one instance where simplicity is truly the best option. Audio and video monitors are an investment for nearly every parent eager to keep tabs on their kids. 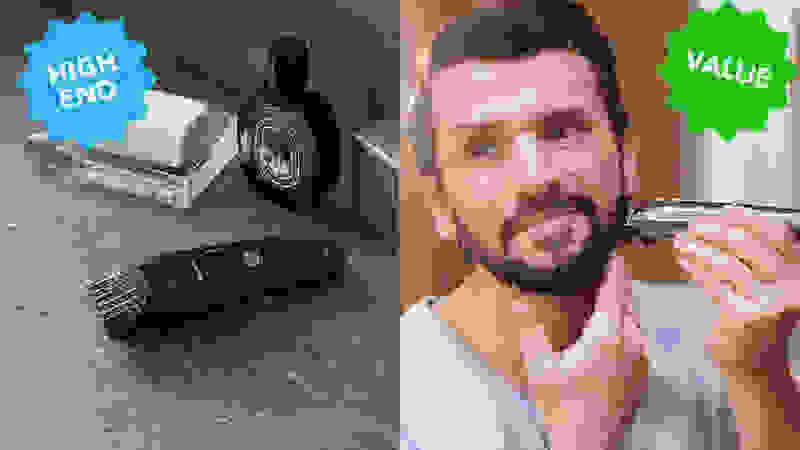 And if you’re in the market for the latter, you may be tempted to go all-out with a high-end video monitor that has lots of bells and whistles. 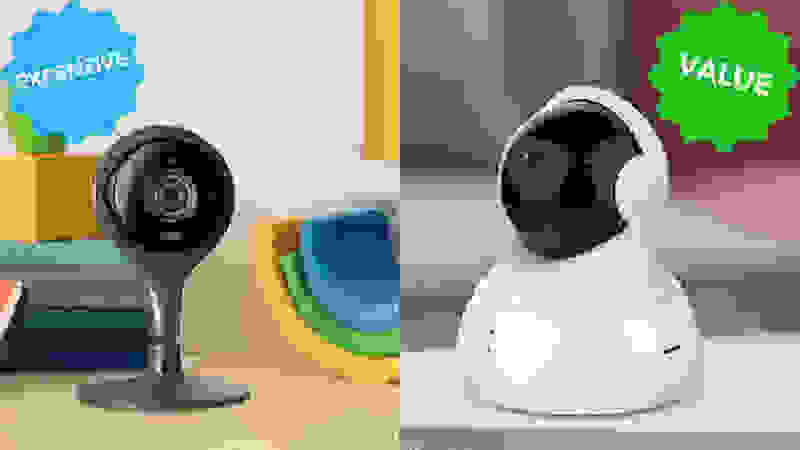 However, we’ve found that some of the best video monitors are the mid-priced options, like the Panasonic Video Baby Monitor. It has motion- and sound-activated alerts, clear audio and video output, and even two-way talk capabilities. Basically, everything you look for in a monitor—without the $400 price tag. If you shell out several hundred dollars on a new iPhone, chances are you’re going to want to protect your investment—especially if you have butter fingers, like me. 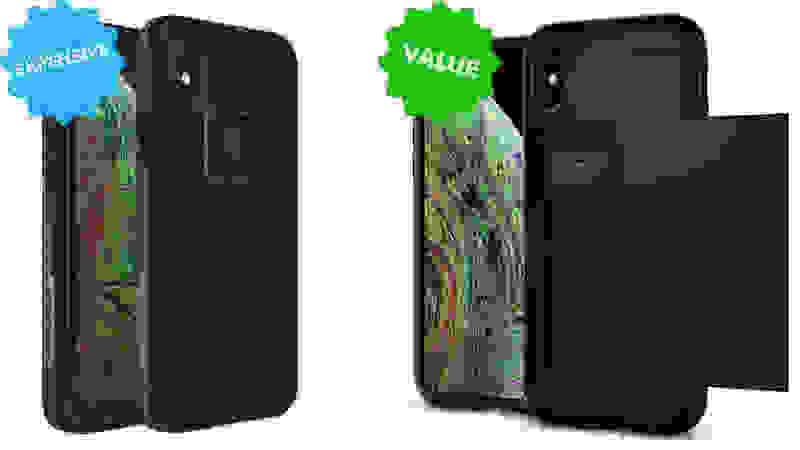 A tough, rugged phone case will protect your precious iPhone when it’s dropped, but your best option isn’t necessarily one of the expensive, box-like cases you may gravitate toward. In our roundup of the Best Rugged iPhone Cases, the Spigen Slim Armor provided robust drop protection at an unbeatable price, and we love that its design—which is thinner than many other options—doesn’t make your phone feel like a brick. Spiralized zucchini, carrots, squash and more are an incredibly trendy recipe ingredient, but you need a spiralizer to turn your product into cool, swirling strands. 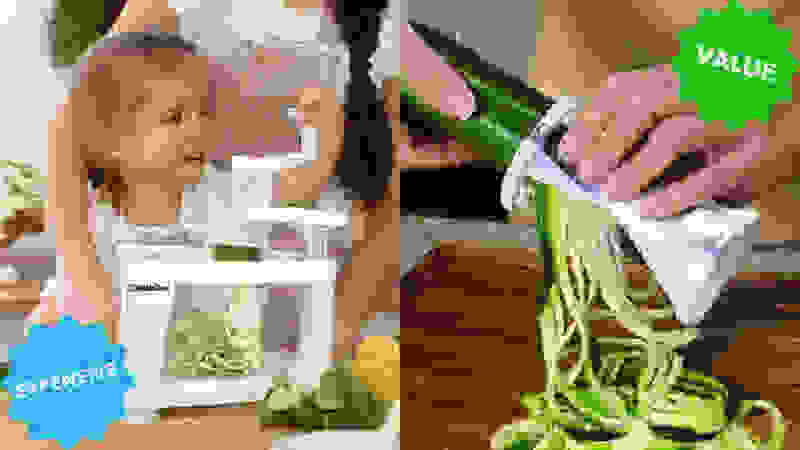 Despite the influx of new spiral vegetable cutters onto the market, one of the best spiralizers is still the good ol’ Veggetti. This handheld spiralizer has two thickness options, and its simplicity makes it straightforward to use and clean. So forget the expensive, confusing spiralizer and just get this one instead. 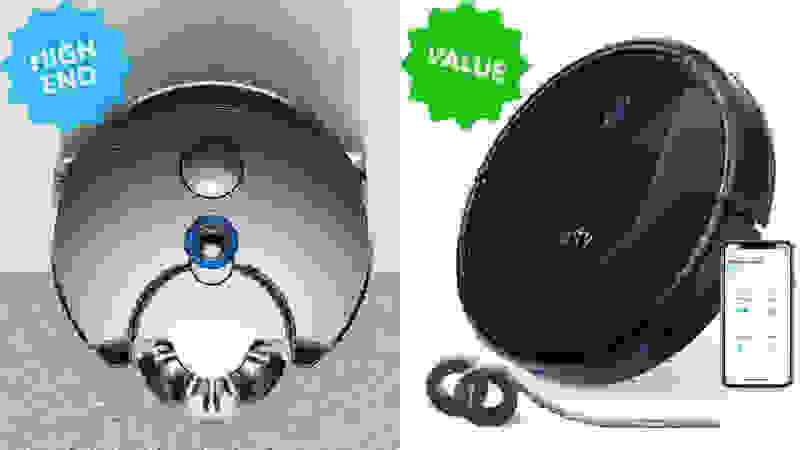 Some pricey electric kettles are just not worth the splurge, while some budget-friendly models are an unbeatable value. 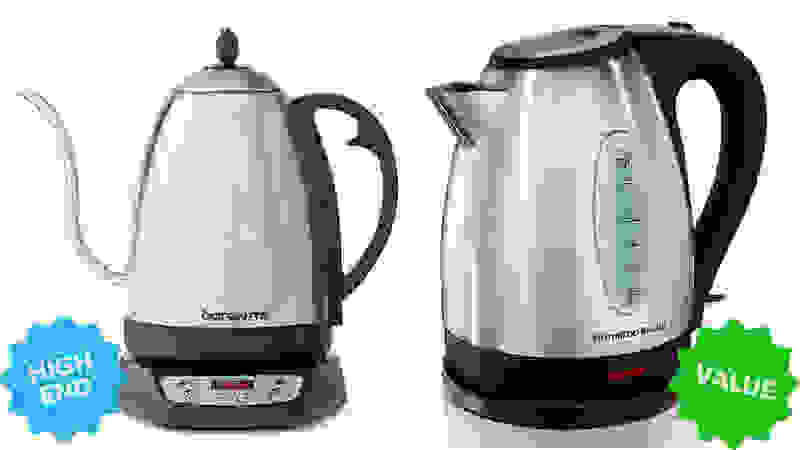 In our electric kettle reviews, we found the Hamilton Beach 1.7 Liter Electric Kettle a great affordable option, as it works quickly and has a cute, compact design. So unless you’re really picky about your hot water, we think you’d be happier with this model than some other more expensive options that have more settings, but take longer to boil. The Ring Video Doorbell 2 won the title of Best Smart Doorbell in our testing thanks to its impressive connectivity and clear pictures, even compared to the brand’s upgraded version, which kind of fell flat. It just goes to show that you’re not always better off buying the latest version of a product. Sometimes the older (and cheaper) edition is the way to go.